This post may contain affiliate links. Please read our disclosure policy here. 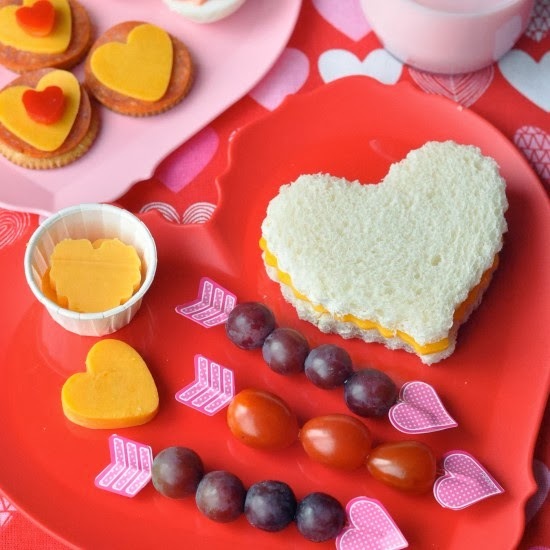 When I was young, my grandmother always cut my sandwiches into hearts around Valentine's Day. Now that my youngest girl is getting older, I am starting to realize that my days of heart shaped sandwiches may be numbered. I'm not sure Owen will appreciate them as much as his sister! So this year I am planning to take advantage of Miss Ruby's love of all things Valentine and add a few extra healthy Valentine's snacks to her lunch in February. 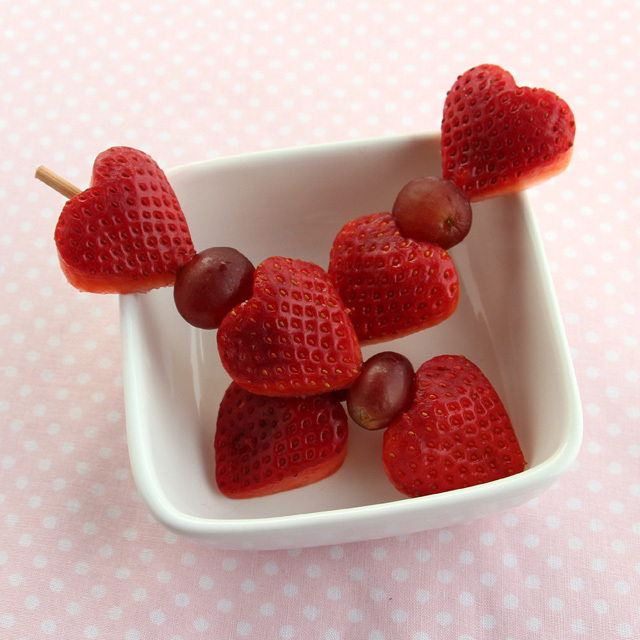 Modern Parents, Messy kids has a fun idea for heart shaped fruit kabobs that would be a big hit with the 2nd graders. They remind me of the cute Cupid's arrow kabobs from Creative Juices you can make from grapes or tomatoes. She used cupcake toppers to make hers, but they would be easy to recreate with some skewers, patterned paper, and a glue stick! And of course, almost everything can be cut into the shape of a heart somehow! 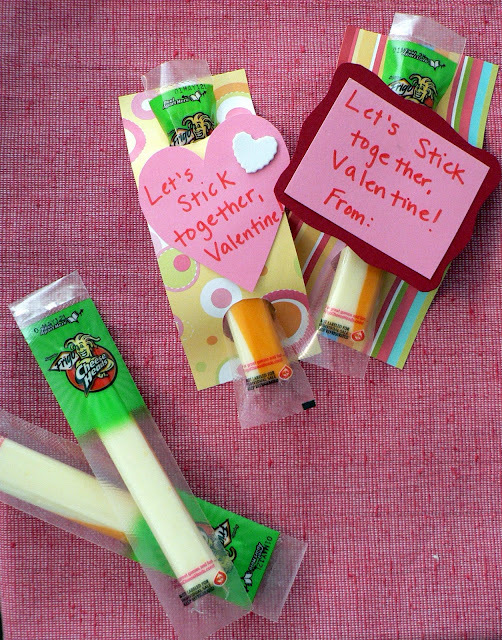 This cute cheese stick valentines idea from Bless This Mess would work perfectly in a sack lunch too. 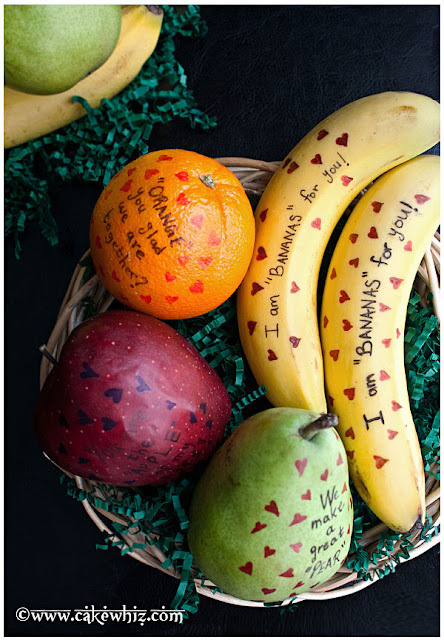 I have edible markers, so I plan to write little love notes on fruit like these Valentine's Day fruit messages from Cake Whiz. 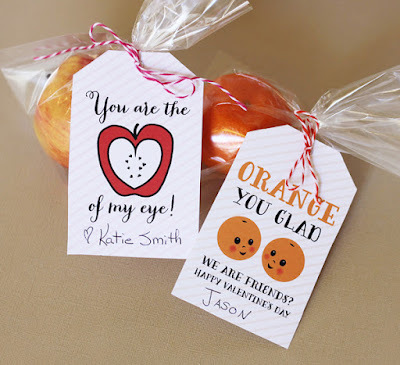 If you don't have edible markers you can use printable fruit love notes like these from fruit valentine tags from Craftaholics Anonymous. 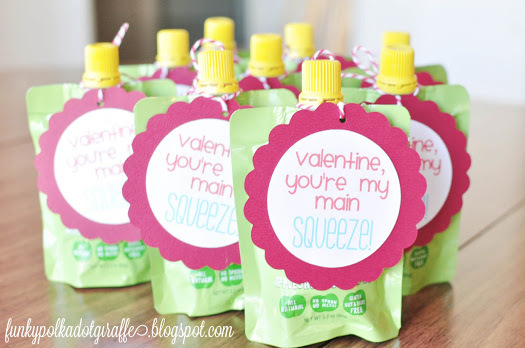 The apple of my eye tags will also work with applesauce, or you can do something similar to these apple sauce valentines from Funky Polkadot Giraffe. 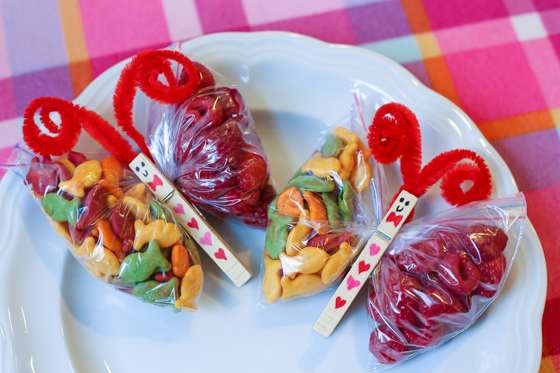 And if all else fails (and you find something that you can't cut into the shape of a heart), you can always stick a colorful, healthy snack in a sandwich bag and make a cute valentine butterfly snack out of it like this cute guy from Daily Mom! Be Different...Act Normal. Simple theme. Powered by Blogger.